This item is well made of premium material for durable and practical use. 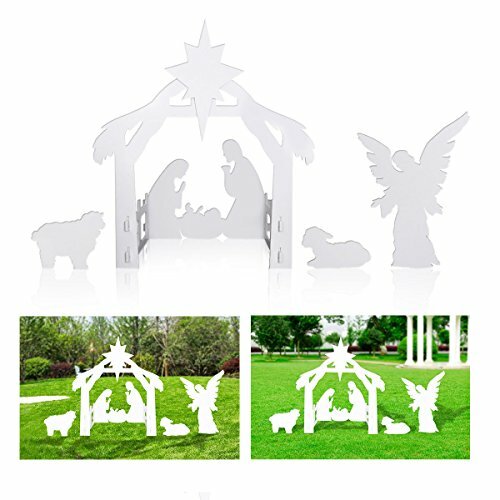 This Christmas Yard Decoration captures the meaning of Christmas with an Angel standing aside and sheep and donkey overlooking the scene. Modeling vivid, it represents the birth of Jesus scene well, harmoniously matches with the surrounding environment. This item is well made of premium material for durable and practical use. This Christmas Yard Decoration captures the meaning of Christmas with an Angel standing aside and sheep and donkey overlooking the scene. Size: Approx. 108 x 68 x 10 cm / 42.5 x 26.8 x 3.9 inch (L x W x H). If you have any questions about this product by Generic/Unbranded, contact us by completing and submitting the form below. If you are looking for a specif part number, please include it with your message.